The Texas women’s golf team set a school record for an 18-hole team total on the first day of the Schooner Fall Classic in Norman, Okla. Friday. 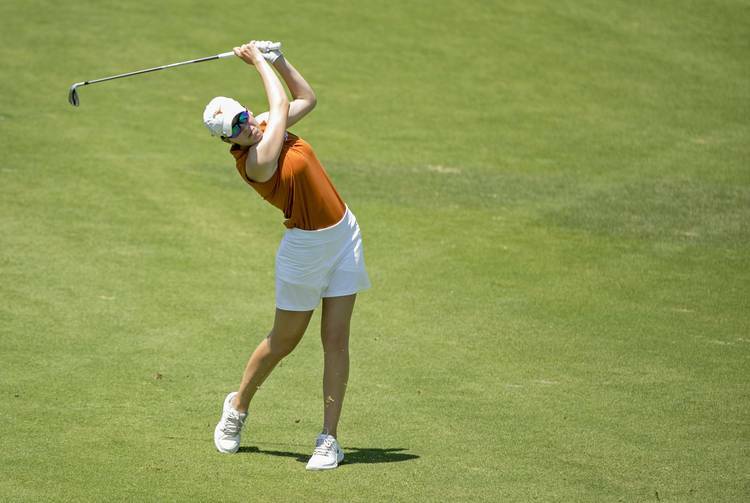 Sára Kousková shot 66 to lead the Longhorns to a 272 total and a tie with No. 3 Alabama for the team lead. Both teams are 12 under par. Kousková is atop the leaderboard alongside four other golfers. Three members of the Texas squad shot in the 60s, four overall Longhorns shot under par. The Longhorns previously set the team record in 2014 when they shot 273 in the final round of the Schooner Fall Classic. Emilee Hoffman shot a 67 to sit in a tie for 6th place. Kaitlyn Papp tied for 10th at 69, 2 under par. Hailee Cooper shot 70 to round out the Longhorns who shot under par. Agathe Laisne shot 74 for a tie for 48th. The Schooner Fall Classic continues Saturday with the Longhorns teeing off at 10:40 a.m.